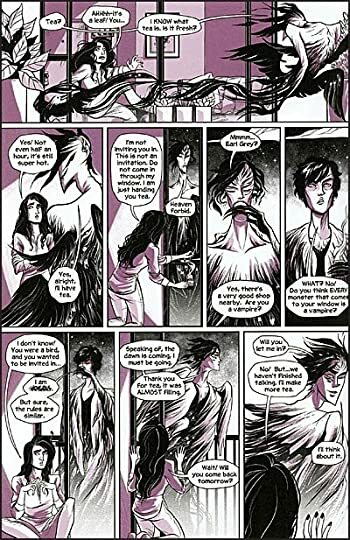 Gothic Tales of Haunted Love is a new comics anthology curated by Hope Nicholson (The Secret Loves of Geek Girls) and S.M. Beiko (Scion of the Fox). A fashion journalist lands the interview of her dreams – but it unearths the deadly secrets of Taiwan’s most popular fashion designer. A Sioux elder revives a recently deceased woman who sets out to recover her lost love. A Jamaican slave faces the horrors of her hateful mistress, on the eve of her liberation. A Brazilian writer-in-exile discovers the dark history of an abandoned mansion inhabited by a charming and sensual ghost. And a young bride spins a story of murder and deceit that paints her husband as a killer . . . but is there any truth to her tale? 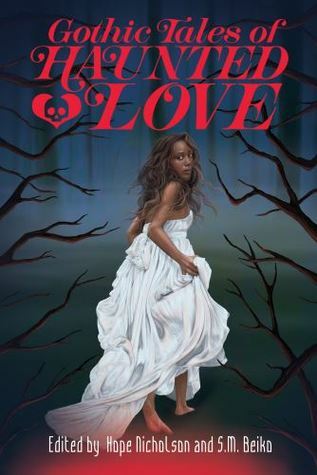 Featuring 19 original stories from some of modern comics’ finest talent, Gothic Tales of Haunted Love collects fragments of lovers torn apart, romantic liasons with the unliving, ghostly revenge, and horrific deeds, in the vein of the short-lived 1970s gothic romance comics. A foreword on gothic romance comics is provided by historian Jacque Nodell, and the collection also features a reprint of the 1970s Korean horror-romance comic "The Promise" by Sanho Kim. Gothic Tales of Haunted Love by Various authors is a 2018 Bedside Press publication. “Smoke from the doused candle swirled around the room and clouded my mind in a misty haze, the night was pungent with a thousand musky smells-time and again I felt the fire of his presence. A combination of factors makes this collection of short stories a real treat for me. Not to sound redundant, but for those who do not know, I have a small collection of Gothic Romance/ Horror novels, and still love taking one down and reading it, no matter how dated they are. Recently, I developed a real interest in graphic novels, comics and Manga, so when I saw this book up on Netgalley, I was immediately intrigued. 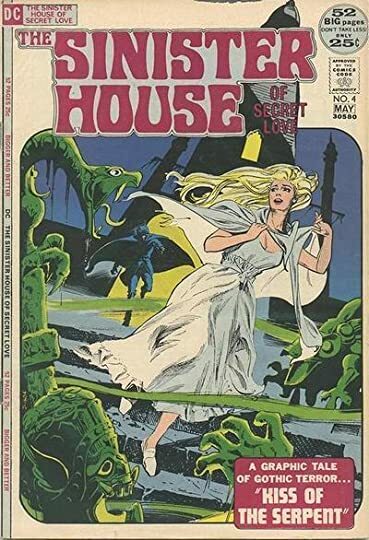 As it turns out, back in the seventies, not only were the Gothic romance novels wildly popular, there was a brief period in which a small, limited number of Gothic romance/horror comic books were published. These are rare and some collectors are asking five hundred to one thousand dollars per issue for first editions. Some reissued copies are a bit more affordable, however, but are not worth as much and are still hard to find. 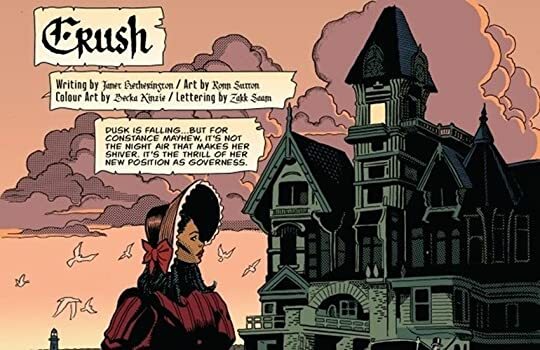 This comic collection is an homage to those old Gothic romance and horror comics, but the stories have been updated to include a wide range of diversity. This book has nineteen stories, all of them super short featuring murder mysteries, ghosts and other tales of the supernatural. The artwork is phenomenal, and the stories are all new and original. While many of the stories do fall into the pure Gothic category, some do not. While some are poignant tales, others fall squarely into the horror genre. Overall, the writers and illustrators did a terrific job with this anthology. I can’t say I loved every single story in the compilation, but most of them are really cool, and they do manage to capture that 1970’s pulp horror and Gothic tone, which was a lot of fun for me.